William Law Gardens in Galashiels. A teenager has been ordered to carry out 120 hours’ unpaid work after he admitted possession of ecstasy with intent to supply. Finlay Christie, 18, pleaded guilty at Selkirk Sheriff Court to committing that offence at his home in William Law Gardens, Galashiels, on December 21. He also admitted importing cocaine and methamphetamine. 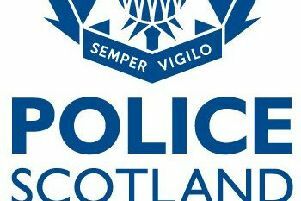 Procurator fiscal Graham Fraser said HM Customs and Excise officers intercepted a parcel sent from Holland containing white powder, later found to be four grammes of cocaine and seven grammes of methamphetamine. A subsequent police search of Christie’s home yielded a bag containing 133 ecstasy tablets valued at around £1,300. Sheriff Kevin Drummond told the teenager his sentence was an alternative to custody.